From 2016-17, I had the privilege to work with Rotary clubs in British Columbia, Canada, and the Rotary Club of Bogota-Multicentro, Colombia, to provide computer literacy classes to children between the ages of 6 and 10 to further interest in programming and systems. What commenced as a vision to support existing projects in Colombia to empower youth through education, culminated in a 4-month pilot project of intensive computer classes for 10 vulnerable children in El Codito, a shanty town on the peripheries of Bogota, Colombia. The future of work is becoming increasingly affected by technology, globalization, and increasing STEM (Science, Technology, Engineering, Mathematics) literacy is essential to prepare the next generation to be able to compete in local and global marketplaces. Lower-income sectors of society are most vulnerable to the immediate changes that will come as a result of this digital revolution and increasing automation. For instance, the jobs that are at highest risk of automation are those that are labour intensive and repetitive in nature. Empowering youth, particularly the most vulnerable, during their most formative years will ensure that all can reap the benefits of this digital revolution. This project came to fruition thanks to the generous contributions by the Rotary Club (RC) of Lions Gate North Vancouver and its members. Thanks to the mentorship and guidance of past club president Elizabeth Chong, I was able to devise an effective strategy to deliver a project that would be meaningful while ensuring the active participation of partners on the ground. 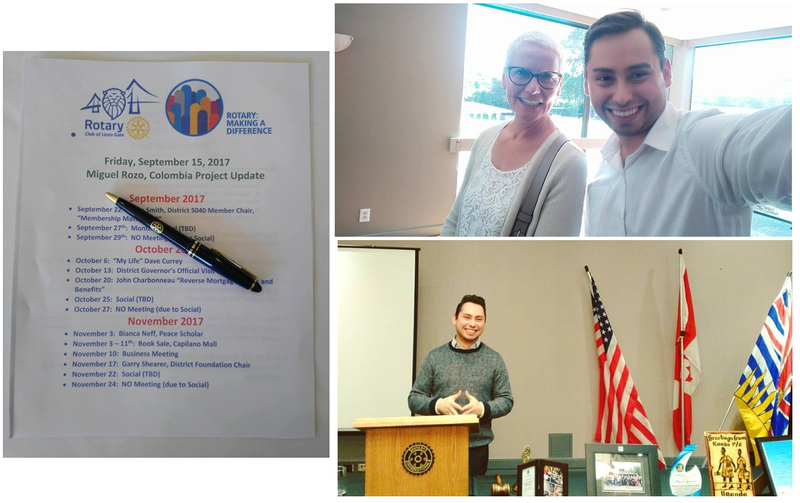 After delivering a number of talks at various Rotary Clubs in District 5040 (British Columbia), RC Lions Gate took an interest in supporting an endeavour to empower youth in Colombia through education as a means to support peace. I began seeking sponsorship during the time of peace talks between the FARC armed group and the Colombian government, which eventually culminated with a peace treaty that ended hostilities between both sides after over 50 years of fighting. The road to peace includes healing, and a commitment to make education accessible to all, including youth and the most vulnerable. As a formerly internally displaced refugee from Colombia myself, I witnessed war closely and have learned the importance of education to empower those in need. In addition to RC Lions Gate North Vancouver who championed this project, the Rotary Club of North Vancouver and the Rotary Club of Richmond Sunrise also became contributing members to this project. Rotary District 5040 also approved a district grant, bringing the total amount fundraised for this project to $5,000 CAD. I would like to take this moment to thank Rotary partners for their generous contributions, and encourage you to visit their respective websites and get involved. Fundraising for the Colombia education project in 2017. I delivered a number of speaker engagements at various Rotary Clubs in British Columbia, Canada. The concept of the classes along with the deliverables are all the result of efforts by grassroots organizations and volunteers. The curriculum and overall deliverables of the project were designed by the Rotary Club of Bogota-Multicentro in partnership with the FUNTRAVIDI foundation, a charity group founded in El Codito that supports community initiatives for children, youth at risk, and the elderly. The company chosen to deliver these classes was Arukay, a contractor with over 10 years of experience providing this type of training to children. RC Bogota-Multicentro administered the funds and created the Jóvenes por la Transformación Social (Youth for Social Transformation), an interdisciplinary group of volunteer consultants who carried out the project, execution and the evaluation of the project. El Codito is a shanty neighbourhood on the hills of Bogota. Colombia’s capital city is home to many informal residents in neighbourhoods (barrios) such as this one, which are often poorly serviced and have higher crime rates. Children are especially vulnerable since they are inevitably exposed to these activities from an early age. The proposal of extracurricular classes by the FUNTRAVIDI foundation arose in response to the need to provide children with a space for recreation and learning after the end of their school day. The foundation’s children often attend class on a “half-day mode,” meaning that they can have up to five hours per day of unsupervised adult accompaniment which can make them vulnerable to narcotics consumption and gang-related criminal activity. The purpose of the classes was as a result two-fold: empower children to be able to compete in the digital economy, and keeping children safe from the streets through education. Despite the troubles of this neighbourhood, many of its residents are solely trying to make ends. Many have been driven to these hills by the increasing cost of living in Bogota or by the decades-long civil war that has affected this country. Colombia has the world’s largest population of internally displaced refugees. A 2017 UNHRC report estimated this figure to be at 7.4 million people. This is an astonishing high number of people who have been displaced from their homes, and many come from the countryside to settle in urban areas. The resilience of the people from El Codito in the midst of so much despair is what led to creation of the FUNTRAVIDI. It is a neighbourhood of high vulnerability, where women are susceptible to abuse, where there is an education deficiency, and where many still do not know how to read or write. FUNTRAVIDI initially started working with children, since they were the ones that began presenting the most difficulty in mathematics, science, and reading. It was not long after that the charity organization began to see that the low levels of engagement and poor concentration were also tied to overcrowded family conditions, lack of opportunities, and malnutrition. The foundation as a result began to engage the community-at-large, welcoming children, at-risk youth, pregnant mothers, and the elderly. Arukay was originally designed at one of the innovation labs at Harvard University and was over the years customized to deliver STEM classes to children in Colombia. The contractor provided all the equipment and training to the 10 children enrolled in the program. The children were chosen by the FUNTRAVIDI foundation after promoting the project to the community at large. Parent involvement also played a role in the recruitment of children and delivery of classes. 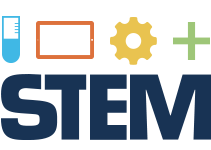 Arukay’s objective is to instill critical thinking and design thinking to empower and promote innovation. Classes took place every Saturday from 1:30pm-5:30pm for a total of 64 hours of instruction from June-August 2017 following extensive work by the group of volunteer consultants put together by the RC of Bogota-Multicentro and FUNTRAVIDI foundation. These consultants were comprised of members of local universities, teaching staff, community action groups, and other Rotary club members. Arukay modified a version of Minecraft, which is a sandbox video game created and designed by Swedish game designer Markus “Notch” which allows players to build a variety of structures and worlds through a 3D generated module. Other aspects of the game include resource gathering, exploration, and crafting among others. The classes that took place were divided into three sections, namely Minecraft EDU I, II and III. Minecraft EDU I: Children were exposed to the world of sustainable structure building with limited resources. Spatial thinking was an important aspect of this stage of the course. Students were then introduced to the early aspects of programming. Minecraft EDU II: Programming and Redstone – Following level I, students were introduced to the foundations of programming. Conditional functions such as “If” and “while” were taught so students had the skills to solve tasks via lineal programming. The post-project evaluation determined that the level of success was high. The RC of Bogota-Multicentro’s monitoring report noted that there was a satisfactory advance through all the stages of the classes. Students were awarded a certificate following completion of the course. 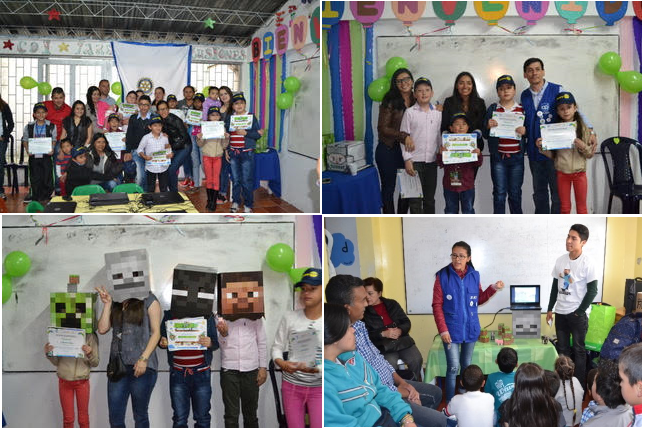 Children of El Codito obtaining lessons on Minecraft EDU and graduating with a certificate from Arukay. 2017, Colombia. The FUNTRAVIDI foundation, in partnership with the RC of Bogota-Multicentro have already engaged in other projects aside from youth empowerment and education. The Minecraft EDU project forms part of the larger picture to empower all the residents of El Codito. Furthermore, this project’s sustainability targets have room for improvement. The initial proposal called for local adults from El Codito to be trained on the basics of teaching the Minecraft EDU classes so they would learn a new skillset that would provide for additional income, while furthering these classes to more children in the neighbourhood. Due to time constraints, this was not achieved in full, as a result there is yet another opportunity to further the impact of these classes and increase their sustainability impact.